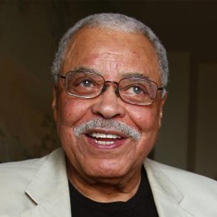 James Earl Jones is an American actor who in a career of more than 60 years has become known as "one of America's most distinguished and versatile" actors and "one of the greatest actors in American history." Jones has won many awards, including multiple Emmy Awards, a Tony Award, Golden Globe Award and Academy Award. He is known for his voice acting, most notably as Darth Vader in the Star Wars film series. He served in the United States Army during the Korean War, before pursuing a career in acting.